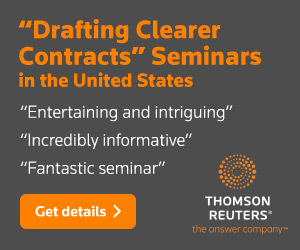 In March I’m going to Beijing and Shanghai to give public (here) and in-house “Drafting Clearer Contracts” seminars. [Updated 22 February 2016: I’m going back in March 2016; for more information, go here.] I’ve never been to mainland China, so it makes sense that I should prepare. I figured that in addition to learning how to get from the airport to my hotel and learning how to say, in Mandarin, “I’m a clueless interloper, please excuse my screw-ups,” I should make sure I understand the role that English-language contracts play in Chinese commercial life. And I knew immediately whom I should contact—the guys behind China Law Blog, long a landmark on the blawgosphere. So below is my exchange with Steve Dickinson, with Dan Harris helping behind the scenes. A: Chinese law provides that the parties are free to choose the language of their contract. If the contract is in two languages, the parties are free to choose which language will control. If the contract is in Chinese and in English and the parties do not specifically choose a governing language, a Chinese court or arbitration panel will take the Chinese version as controlling. If the contract is in English, then the court or arbitration panel will appoint a translator to do the translation. These translators are often not very good, which causes many problems in litigation/arbitration, since the case gets sidetracked in disputes about translation. Contracts involving a foreign party in China are almost always done in a dual-language format, with English almost always the other language. For example, every contract between Russian and Chinese parties I have ever seen is dual-language, Chinese and English. The tradition in such contracts is to provide for the English-language version to control, for the law to be that of the foreign party country, and for litigation to be in some location outside China. These provisions seldom make sense but they are common in contracts between private parties and when the Chinese party is a State Owned Enterprise not controlled from Beijing. However, Beijing controlled SOEs normally will require the reverse: The Chinese language and law controls and disputes will be resolved in China, either in the courts or through the China International Economic and Trade Arbitration Commission (CIETAC). Q: How do Chinese lawyers and businesspeople respond to the traditional (in other words, dysfunctional) prose you find it most English-language contracts? Have they adopted it by osmosis? A: Chinese lawyers and businesspeople usually reject traditional U.S. contract language outright. The Chinese use simple contract language. 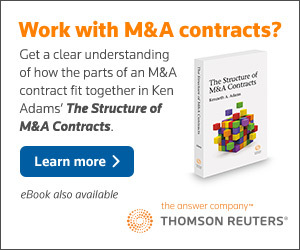 Often, U.S. companies insist on using U.S.-style common-law contracts. The Chinese side never reads the English; they have the document translated into Chinese and they work with the Chinese. When litigation occurs in China, the Chinese court will often say, “This contract is just a translation of a standard U.S. contract. Obviously, the Chinese side did not understand any of it. Therefore, we are going to ignore the key provisions on which you are relying and we are not going to enforce them.” Many banks and investment funds have learned this to their detriment. For example, many foreign-drafted futures contracts have been thrown out in China because the courts concluded that the Chinese party simply did not understand the contract. The result is that the Chinese companies got a free ride, which is not a trivial issue. It is a much deeper issue than language. Chinese courts, Chinese lawyers, and Chinese business people are not going to agree to legal provisions that have no meaning under Chinese law. If you expect to litigate in China, your document must be in accord with Chinese law. If you expect to be able to enforce your contract in China, you must have a contract that is in accord with Chinese law. Much bad U.S. contract writing involves using ten words to express one concept and drafting provisions so as to address every single possible contingency. For China, only the concept is important. 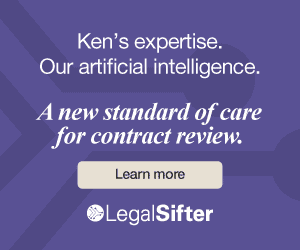 Another motivation for bad U.S. contract writing is to try to draft around case law or statute. China does not care about cases or U.S. statutes. Chinese courts and arbitrators do not allow drafting around the provisions of black letter Chinese law and they do not allow for results that they think are either unfair or in bad faith. Thus, the real issue is not so much bad U.S. drafting methods. The real issue is how the Chinese court views the motivation behind the contract. I should also add that Chinese lawyers have major problems interpreting U.S. and British common law contracts. Their standard approach is to guess at the meaning and then mistranslate and then work with the mistranslation, leading to disaster on all counts. Q: Do Chinese lawyers draft contracts in English, or mostly just review them? A: I have never met a Chinese lawyer who drafts in English. However, many of the large law firms hire English-speaking lawyers to do the English language translation of documents originally drafted in Chinese. Often these lawyers are Chinese nationals who have gone to law school in the U.S. or England. It is important to understand this. The Chinese lawyers do all their drafting in Chinese. This means they draft in accordance with Chinese law and legal principles. It is therefore impossible for them to draft in the common-law drafting style. It is therefore critical to distinguish between the issue of language and the issue of legal system. Q: Do you see English-language drafts prepared by non-Chinese lawyers that contain provisions that make no sense in China? We see it every day. Frankly, the Chinese do not care. They know that such provisions are meaningless in China and they also know that a confusing, badly written common-law contract is virtually unenforceable in China. They therefore usually sign without comment, since they know that the foreign side has simply caused problems for themselves. For example, often a U.S.-drafted contract will contain several pages disclaiming liability for a warranty. U.S. warranty law is broad; Chinese warranty law is narrow. U.S. warranty damages are high; Chinese warranty damages are low. Under Chinese law, you cannot contract around your basic warranty obligation. Thus, the whole exercise has no meaning under Chinese law and any such provision will not be enforced in China. So the result is at best an ambiguous contract and at worst it results in an unenforceable contract. In Japan, a domestic company will normally object to the provisions. In China, the Chinese side will often just sign since they know that they are dealing with a company that knows nothing about China and that the provisions are meaningless in China. Q: What are some other hot-button provisions? A: The main fight we have been having lately is that the Chinese side will seek to have a force majeure provision absolve them from any liability for payment if the Chinese government makes payment impossible. This is a legal issue, not a language issue. And the Chinese HATE contracts that start with a long list of complex definitions. They simply will stop reading and never get to the substance. Or they will ignore the complex definitions because they know that Chinese courts and arbitration panels will also ignore them. Q: Well, I’m glad that the Chinese market appears to value clear and uncluttered drafting. Thank you, Steve!